HFH Summer Camps kicked off our recruitment season last week with a breakfast for community partners from shelters around New York City. 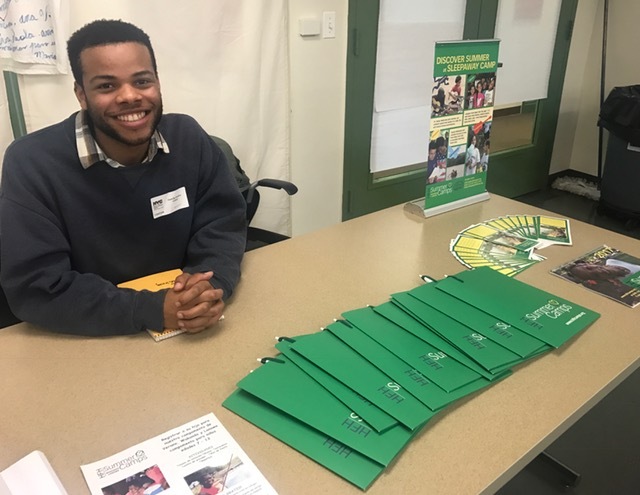 This week our recruiter, Aurelius, kept the momentum going at a summer camp fair hosted by the Bronx Family Justice Center, where we spoke to families who have survived domestic violence. We look forward to meeting many more families this recruitment season. Let us know if you are interested in sending your child to camp!